Attention voters: Don’t forget to request your ballot! The countdown is on for the August primary election, and this is a reminder for Lee County and Charlotte County voters who are up north for the summer: Remember to request your absentee ballot. The Boca Grande Post Office will not forward the ballot to your summer location, but you can easily request one online or by calling the Lee County Supervisor of Elections office. Voting by mail is the most convenient way to vote. To request a ballot, visit lee.vote or call (239) 533-8683. Charlotte County residents can visit charlottevotes.com or call (941) 743-1387. In order to vote in the election, you must be registered at least 29 days before an election. You can submit an online voter registration application or update your existing record through the Department of the State’s website at RegisterToVotFlorida.gov. Florida is a closed primary election state. Political parties use primaries to nominate their party’s candidates to run in a general election. The deadline to change your party affiliation for the August 28, 2018 primary election is Monday, July 30, 2018. 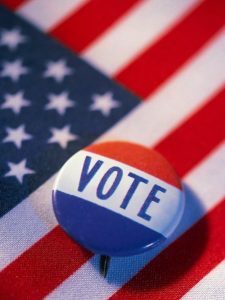 Early voting begins on August 18 and runs through August 26. Voting hours are 10 a.m. to 6 p.m. Early voting is not available in Boca Grande. The primary election is August 28, 2018, and the general election is November 6, 2018. For more information, visit lee.vote or charlottevotes.com.